Experience why homeowners in Brunswick & nearby areas in Ohio trust A Kleener Image for picture-perfect carpet cleaning... and more! Carpet Cleaning Services You Can Trust! You’re doing us the great favor of allowing us into your home — and we take that honor seriously. That’s why you’ll always get friendly, open service when you work with us. We care about your satisfaction, and we want that to show! Whatever type of job you bring our way, you can expect a smiling face to meet you. Whether it’s your first meeting with us or you’re a repeat customer, expect the same courteous service throughout the entire carpet cleaning process. It’s just one of the many reasons that A Kleener Image is the best in our field — and your neighbors agree! "Joe and Jason cleaned our carpets yesterday and couldn't be happier. They took their time and made sure the carpets were cleaned to the best of their ability, which is a far cry better than any other carpet cleaning company I have ever used before. Using a rotating scrubbing brush machine they were able to get a much deeper cleaning than the standard wand style carpet cleaner. Very honest and up front about the entire process. I highly recommend A Kleener Image for any of your flooring needs." There is more than just the cleanliness factor when considering carpet cleaning. It’s also about the life of your carpet. 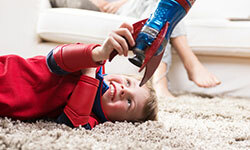 When you neglect to remove the dirt particles, it causes wear and tear and deep stains on your carpet. People forget that carpet is made out of a lot of the same materials that our clothes are like polyester and nylon, so how long would you walk across your clothes without cleaning them? If you were to think about your favorite pair of jeans and the wear that happens on knee areas, we can compare that to the traffic lanes in a room of carpet. When dirt is allowed to stay on the fibers and be ground in, it will eventually change it's ability to refract light properly and have a look that is a little dingier than the rest of the carpet. This is why it is so important to have your carpets professionally cleaned every 12 to 18 months at a minimum. Truck-mounted softened hot water rotary extraction. We do not rush through any job. We really believe that in order to get extraordinary results, we have to be willing to do processes that other companies won't take the time to perform. We use equipment that others don't, to get results that our customers rave about. One of the things we have discovered over the years is that most homeowners have become so accustomed to mediocre results that they don't really understand what is actually possible to achieve with a company that cares about the outcome of each job. We may not be able to get every stain out, but the number of times that we hear " the last cleaner said that stain wouldn't come out", is staggering. 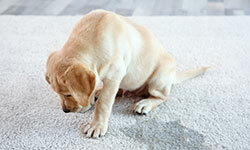 Is getting my carpet clean safe for my babies and pets? If you have your carpets cleaned by an average carpet cleaning company, no. Most companies use harsh chemicals to clean your carpet. When they spray those chemicals, not only is it in your carpet — but 30-40% of it becomes airborne. That means your family is breathing it in too. At A Kleener Image, we are conscientious about safety, health and the environment, so we only use 100% green, non-toxic cleaning agents — so our process is safe for your babies and pets. Do I have to move all of my furniture? No. If you know your grandfather clock or dining room hutch are immobile, we take care to clean around them. We do suggest removing light furniture — and if there is anything you have a hard time moving, we’re happy to help out. Just let us know prior to your appointment. "This company is the real deal! Amazing guys and super good at what they do. If you are looking for a reliable and quality carpet cleaning company that is going to take the time and do the job right, this is it. Totally worth the money to pay a little extra knowing these guys are going to do the job right and not cut any corners. I highly recommend this company and will be using them in the future for sure!" Cleaning grout lines can seem pointless when you try and do it with your typical “miracle” product sold at the store. 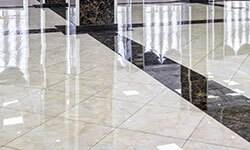 However, we have the commercial grade equipment to handle a strenuous job like grout whitening and grout cleaning. While we are on the subject, have you ever thought of sealing your kitchen grout? Nobody wants to get on their hands and knees to clean grout lines only to see that the change was minimal. We make it easy with professional cleaning products and tools. 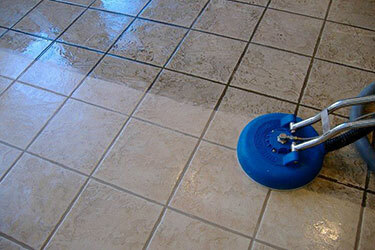 Sealing your grout lines helps to prevent stains and makes it easier to clean. 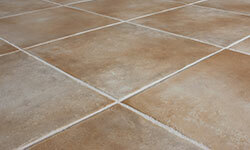 Store bought cleaners just do not have the power to lift the dirt from ceramic tiles and dirty grout lines. In most cases, homeowners and business owners are simply just pushing the dirt around and further into the floor. Don’t waste your time and money on expensive, chemically-based cleaners when you have an affordable option with our professional cleaning that does the job to perfection. Much like the idea of Scotchgard on furniture, grout sealant is a protectant that preserves your grout colors. If you think about the soil outside when it rains, at a a certain point the soil becomes saturated and the water is left standing on top. This is what a grout sealer does as well, it protects contaminates from soaking into the grout lines so that they clean up easier. This sealer will normally last at least 2 years but many times it will last longer, depending on the conditions of the home. Does your tile & grout cleaning service include more than just kitchen tile & grout? Of course! 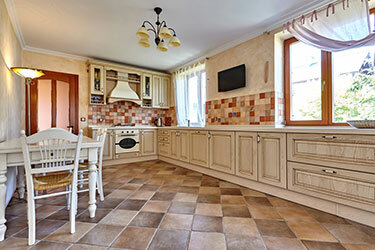 If there is any place in your home that has tile and grout — we will clean it. That goes for bathroom grout, foyers, entryways, sunrooms and more. How do I know if I need to re-grout or just have a professional cleaning done? We will always tell you to try our grout cleaning service first. Why? To re-grout tiling takes a lot of time, muscle and patience! First, you have to remove the existing grout. This is a huge job that is tedious and tiresome. Another problem with removing old grout is the possibility of harming the ceramic tile in the process. It must be handled by professionals. Then, of course, there is laying in the new grout; which takes technique. If this sounds overwhelming, try getting a deep cleaning done by our professional team. How effective is your grout cleaning? 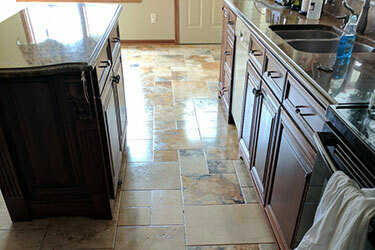 Of the thousands of tile and grout cleaning jobs that we have done, very rarely do we come across an occasion where the grout does not respond to a cleaning. The times where the grout has not responded though is when the grout is older and has never been sealed before. We always like to come out and do a sample area cleaning for each customer prior to scheduling the job so that the homeowner is able to see exactly what results they can expect from the cleaning, and we know what steps need to be taken. Do you color seal grout? At this particular time, this is not a service that we offer without a detailed conversation with the homeowner. The reason for this is because we have seen so many times bad color seal jobs. There are a few local companies and franchises that offer these services and I have yet to see a job that has held up over time. Most times the color seal starts to peel away and flake up requiring a constant maintenance plan....I would rather provide a long term solution for our customers! "I had my carpet and kitchen tile cleaned and the results more than met my expectations. We had stains from our basement bar along with a cat and dog and every last stain and spill was completely removed. The carpet smelled and looked brand new. The kitchen tile had a lot of stains that have been building up and again every bad area was cleaned to perfection. I highly recommend this company. I will definitely use him for our future cleanings along with having him to clean our business office in the future as well. 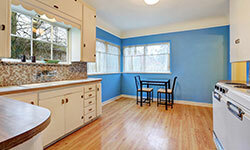 He was very affordable and prompt." Feeling like your kids or pets don’t share the same concerns you have about your furniture? Think about this for a second. How many people sit on your couch and how often? How often do you eat on your couch? How often do you lay your head down on the couch? The answer is probably a bunch — that’s what a couch is for, right? Well, each time someone comes in contact with your couch, they leave behind oils in the fabric. Those oils are magnets for dirt particles. This can cause stains, odor and residue on your furniture that ordinary, store-bought cleaners cannot remedy. A Kleener Image is happy to be your local upholstery cleaner serving the Cleveland and Medina County areas. Our professional upholstery cleaning is one of our specialties, as we have years of experience in the field. We love to bring life back to your investments with our state-of-the-art furniture cleaning process. We make sure to use green safe products while cleaning so that all soils are able to be loosened and flushed away with our low moisture cleaning tool. We always check the fiber type of the fabric we are cleaning so that we can use the proper cleaning agents. Did you know that using the wrong cleaning agent on a linen, or cotton couch can permanently damage it? We have seen this many times from inexperienced technicians from other companies that haven't had the field knowledge that we do. I’m nervous about getting my furniture wet. 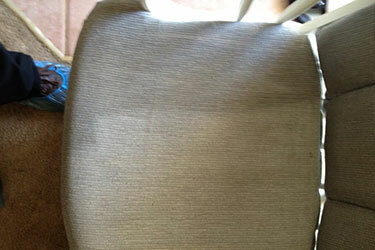 How does the upholstery cleaning process work? There is no need to worry — we are experts in furniture cleaning! Our process doesn't soak the cushions. Our low moisture upholstery cleaning tool acts as a miniature waterfall. With our truckmount turned up providing the vacuum, the water is released from one side and flows over a bar into the other section taking with it the soils from the fabric. The process prevents water from soaking into the cushions since a jet is not spraying it on, this helps the furniture to dry in just a few hours! Does upholstery cleaning work for mattresses? Absolutely! Much like cushion cleaning, the process uses suction to pull the mattress top up and away from the stuffing and cushioning inside. We spray, brush and suction the mattress leaving it fresh and like new. Does having my upholstery cleaned help with allergies? Yes! Imagine all the action your furniture sees in even just one day. Now, picture all of the oils it collects. Those oils then attract dirt, dust and germs. If you have allergies, specifically to dust mites, cleaning your upholstery will help remedy the situation. "Joe is currently cleaning my couches and he is nearly done. What a great experience from start to finish. This guy answered his phone after hours to put me on the schedule (I figured it would go to voicemail). He is prompt, professional, and goes above and beyond for clients. All at a really affordable price tag. A Kleener Image just seems like a honest company making their way in the world. 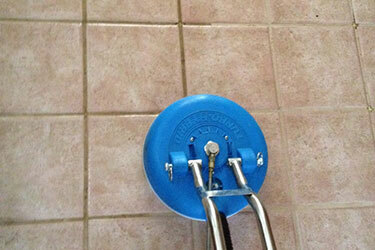 I highly recommend this cleaner to anyone, not just upholstery but tile and grout as well as carpet cleaning." 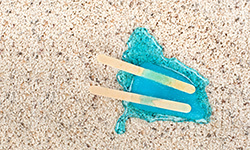 Stripping & Waxing: A strip and wax is necessary when the old floor finish has either been wore down from insufficient top scrubs or from too much dirt becoming embedded in the finish from improper floor maintenance. This consists of using a stripper solution to emulsify the old finish from the tile, a powered low rpm buffer or a propane stripper to help remove the finish, neutralizing the floor with cold water to seal the pores. The final step is to lay down at least 4 coats of premium floor finish. Top Scrub: A top scrub should be performed at least once a quarter, depending on the foot traffic at your facility. This process uses a light cleaner with a special pad to remove the top layer of dirt from the floor finish. Clean water is mopped on to close the pores of the tile and then new premium floor finish is applied. The great thing about utilizing the top scrub process is you constantly have a new looking floor year round. At least four coats of finish are normally applied, so if the dirt is trapped in the first two layers that are removed… the bottom two layers never have to be stripped. This is a cost saving for you! There are a few things that you can do to help keep VCT protected. The first is to have a professional apply a premium floor finish. Since VCT is a porous material, without this protection the tile can become permanently discolored due to ground-in dirt. Once the finish has been applied you will want to have some long entry mats in your facility, both by outside doors and inside any warehouse doors you may have. 75% of dirt comes off in the first 30 feet of flooring! Next, plan on dust mopping at least once a day to help prevent dirt from embedding into the floor finish. And last but not least, you should mop once a day if at all possible or at least every other day. Make sure when mopping to change the water frequently so dirty water doesn’t get back onto the floor. A floor buffing schedule can and will also keep your floor looking great all year long. Call us today for all you VCT floor cleaning needs! "Excellent service. Joe was able to get us in right away. Called on Tuesday and he was here first thing Friday morning. Got us in and did a wonderful job. Was so ready to start my spring cleaning. House smell fresh and clean not like harsh chemicals like other places. Carpet looks great and is soft again and my couch looks wonderful. Explained his methods and man did he pull up dirt and dog hair I never knew we had. He is more then a 5 star. Totally recommend his services!" When you buy an area rug, you are making an investment within your home. Are you protecting it? 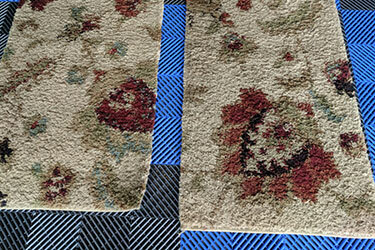 Oriental and area rug cleaning is an important service we offer at A Kleener Image. Rugs, whether antique rugs, oriental rugs, or Persian rugs, have a different cleaning process than standard carpet cleaning. These types of rugs have tightly wound fabric, which requires extra care to be taken during the rug washing process. 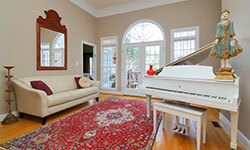 Area rugs are an expensive investment and we want you to protect that investment with cleaning maintenance. 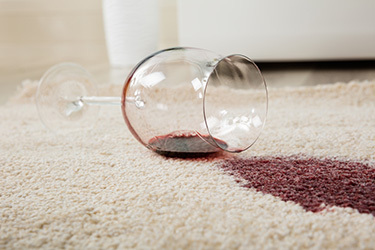 Regular professional rug cleaning prevents dirt from being ground into your rug and causing wear. We are your local carpet and rug cleaners and we look forward to showing you A Kleener Image. Contact us today to schedule a pick up! What kind of process do you have for professional rug cleaning? 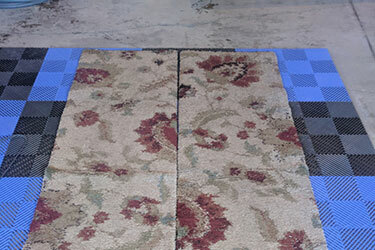 We take your rug back to our facility and start by removing the dust and dirt particles accumulated within the fibers. Then, we give the rug a bath — there is a little more to it than that, but it sounds funny! We submerge the rug to loosen even the smallest dirt particles we cannot see. Then our machinery gently washes over the area rug to manipulate the dirt out of the fibers. Why is A Kleener Image different than other area rug cleaners? We like to attribute our difference to being owner-operated. This is not just a job for us where we make an hourly wage, this is our livelihood. We strive for excellence in our skills and customer service. When your rugs are in our hands, you can be sure they are safe and being handled with the utmost care. Won’t chemicals be harmful to my Persian rug? There is always a possibility of that happening and that is why, at A Kleener Image, we do not use harsh chemical products. We only use 100% green, non-toxic cleaning products. This is not only for the safety of your rug and carpet, but also for the benefit of your family, pets and the environment. "We are getting the townhouse cleaned up after renting for 2 years. After regaining possession from our renters, there was a lot of unexpected “work” to do - especially filthy carpeting and tile. I was worried we were going to have to retile the master shower because of how uncared for it was. My longtime miracle worker, Joe Orcutt at A Kleener Image saved me again! If anyone needs carpets, rug, tile or upholstery cleaned you must call Joe as he is simply the best." We'll make your kitchen floors so clean that you can eat off them! Many people will Google how to clean vinyl or linoleum floors and think they have discovered an easy answer to keeping their floors sparkly clean with minimal effort. Unfortunately, it is simply not true. Many of the concoctions you find on the internet are okay (as long as there aren’t any abrasive ingredients), but the problem is in the removing of the dirt. Without extracting the dirt and grease with a professional machine, the dirt is only just being moved around… and the scrubbing can actually dull the shine. 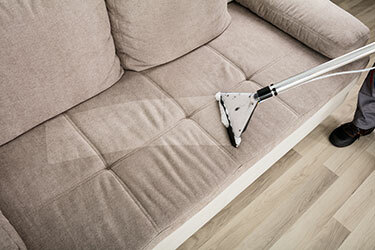 If your goal is to truly deep clean your floor, calling A Kleener Image is your best bet. 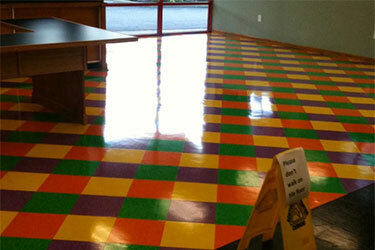 Give us a try for your laminate, linoleum, vinyl floor or commercial floor stripping and waxing or cleaning needs. We're confident you'll be impressed with the results. We are always here to answer any questions you might have or to give you a friendly estimate. Call us today to take advantage of our expertise! 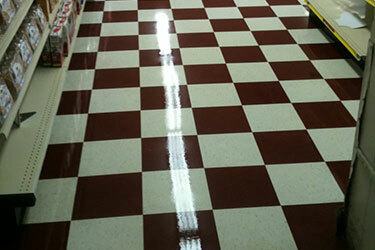 What is the protocol for laminate floor care? Laminate wood flooring is a manufactured wood and the care of laminate floors should be guided by the manufacturer’s instructions. Because of our experience with cleaning and polishing laminate flooring, we know the do's and don’ts. What is the big deal with Mop n Glo? Again, Mop n Glo does nothing but move dirt around on your floor, dulling your floor’s finish in the process. Not to mention the worst offense, which is the way it locks in the dirt like a trap. That means while it is temporarily shiny, you are actually grinding the dirt into your floor. It is a vicious cycle because once the shiny floor dulls again, you have to use more of the “M” word. What you end up with is layer upon layer of trapped dirt and once you finally have had enough, you have to call in professionals to strip your floor down to its original luster. Not a great solution! What is the benefit to having my flooring professionally cleaned? There is always the obvious — no back-breaking work for you to do. But the fact is that it 's better for the life of your floor. Our process extracts dirt instead of just moving it back and forth. We are able to remove oil and dirt from the smallest crevices and dimples in the floor’s landscape, leaving it thoroughly clean — and not just the facade of being clean! "How refreshing... a guy that actually answers his phone, arrives on time, does great work, offers a fair price and keeps every promise throughout the entire transaction. Our carpets looked great, Joe couldn't be any nicer and we won't hesitate for a second to call him and only him when we need cleaning again. Thank you for a professional experience and a job well-done from start to finish!" We receive many calls every week where one of the homeowners fluffy friends has decided to make the carpet their new potty area. I have three dogs and five cats myself so I completely understand how frustrating this can be! While a regular carpet cleaning takes care of cleaning the fibers of the carpets, it does not deal with what is in the padding of the carpet or in the backing of the carpet. This is where a subsurface extraction comes in. Depending on the circumstances, we will either apply a neutralizing acid treatment, or an enzyme treatment to the affected areas that have been found with our blacklight. Once the product has had the appropriate dwell time we will use a rectangular tool with air holes in the bottom and two fresh water injector ports to rinse out the loosened urine particles. I like to use the analogy of a wash cloth, if your dog were to pee on a washcloth, you would be able to hold it under the faucet and flush all the urine out. This is what our subsurface extraction process does! "I contacted Joe and a few other companies to get our carpets cleaned. We had a home built in 2017 and with our dog, we wanted to be sure we got a deep clean. Joe by far took the most time to explain his process in a way that I could understand and did not pressure me to make the sale. I felt that he wanted me to be informed and I felt most comfortable picking Joe and A Kleener Image." If you have ever had your carpets cleaned before by another company, most times they will ask if you want carpet protector applied. If they didn't ask you about your intentions for the carpet or how old the carpet was....they are acting in an unethical manner in my opinion and I personally wouldn't want to do business with them. Most times if the carpet is under 5 years old, it does not need the factory protector reapplied. 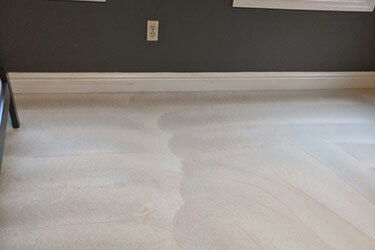 If you are thinking about getting rid of your carpet in a few years, then you really don't need carpet protector. I like to ask these questions before asking if carpet protector is desired. Did you know that carpet protector was originally invented for the 5th generation nylon carpets as a traffic lane resistor? The idea with carpet protector is that it helps to coat the fibers so that the fibers themselves don't take the brunt of the wear and tear. We only use green carpet protector as well. Most companies will use a protector that has flourocarbons which are really bad for our environment. What?!? We love this product! It is a plant based, EPA registered, carpet safe, pet safe,baby safe product that kills 99.99 percent of bacteria it comes in contact with. This is applied as a post-spray to the carpet if desired. We really encourage people that are moving into new homes to purchase this treatment as a way to reset from the previous owners. 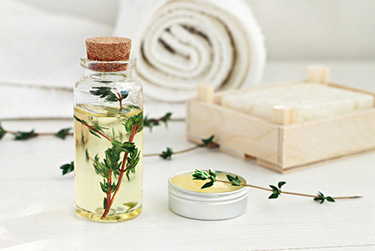 The thyme oil treatment can also be great for after winter time when everyone has been confined to the house and been sick as a way to reset for spring cleaning. Another set of people that might find this product of value is pet owners. When our dogs go outside and walk around they are bound to step on some of their feces. Our beloved cats also walk right out of the litter boxes after scratching around in there, onto the carpet. This would be a great way to reset the carpet periodically from those contagions. "Joe from Kleener Image has built a state of the art floor/carpet cleaning service. The outcomes are the best they can be and communication is superb. I am a realtor and found Kleener Image on a Google search while frantically looking for someone to clean carpet for a client. They met my needs in a most professional manner at a reasonable price in the timeframe I required. Definitely a five-star family operated company!" How Is A Kleener Image Different Than Other Floor Care Companies? Let us count the ways! 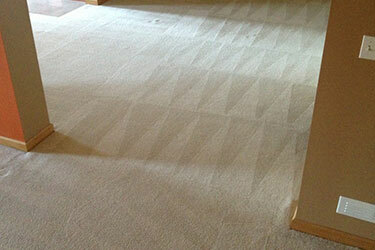 There are a lot of details that go into our processes that other carpet cleaning companies overlook. One thing our clients rave about is how clean and fluffy their carpet becomes. We will let you in on the fluffiness factor – just don’t tell anyone. We bring 100 gallons of fresh, softened water to each jobsite. The softened water allows us to use 50% less cleaning agent. We also bring along fans to help with the drying time once we have completed the hot water extraction. This also is a huge step in preventing re-soiling of your carpet. Our owner, Joe Orcutt started out in 2008. Originally we were handling VCT floors work at commercial locations — and the employees were so happy with our work that they started asking us to clean their carpet cleaning and tile and grout in their homes. We soon discovered there was a lack of a high quality carpet cleaning company in the area — and that's where we decided to specialize. 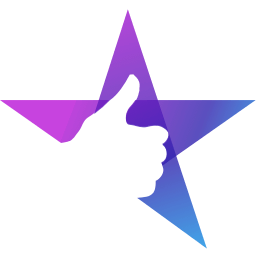 Since day one, our 5-star reviews continue to come in — and our clients share our name with their family, friends, and neighbors. With our dedication to providing quality floor care services, A Kleener Image continues to grow and serve our customer's needs.